Break the ice at the PANDORA Ice Rink at Baltimore’s Inner Harbor, complete with a skate shack, rentals, concessions and entertainment, as well as special events like SkateFest, a learn-to-skate program and more. All aboard for THE POLAR EXPRESS ™ ! Create a Christmas memory that you and your family will treasure forever – a journey to the North Pole via THE POLAR EXPRESS ™. During this event ONLY, the Washington D.C. Metropolitan Area LEGO Train Club will display their amazing LEGO model train layout completely constructed of LEGO pieces at the "Polar Express North Pole". Experience a magical twist on a holiday classic on the big screen in 4-D this winter! After being ousted from Christmas-town because of his bright and shining nose, Rudolph sets off on a series of funny and endearing adventures—meeting new friends Hermey the Elf and Yukon Cornelius along the way. Celebrate the holiday season at the B&O's Magical Holiday Express, an annual tradition devoted to trains of all sizes, your favorite holiday characters and a train load of fun for the entire family! Celebrate a traditional, old-fashioned Christmas in one of Baltimore’s most historic neighborhoods. Olde Tyme Christmas has grown into one of the most beloved and anticipated holiday events in Baltimore, launching the holiday season with the unmistakable charm that only Fell’s Point can offer. 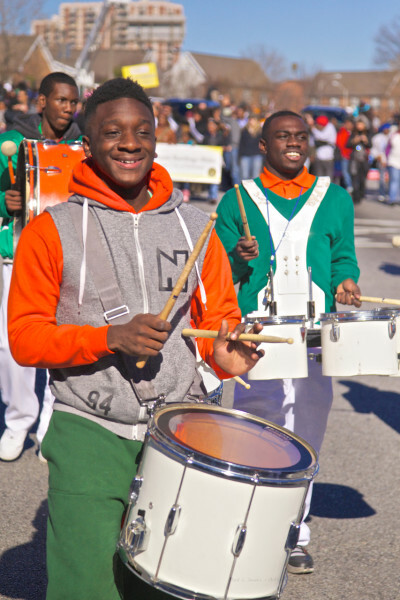 The attendance along the 2.5 mile route reached 25,000 people last year at the Annual Mayor's Christmas Parade to view Santa Claus and about 160 marching units. The parade features floats, local TV and Radio personalities, over 100 Harley Davidson motorcycles, a steam calliope, great bands, Mummers of Philadelphia, Miss Yuletide and Jr. Miss Yuletide and of course Santa! Create cards celebrating the holidays using collage, brightly colored paper and watercolor in this afternoon drop-in workshop. Holiday snacks will be served. Share the holiday spirit in a behind-the-scenes look at how feasts, festivities, and joyful games were depicted in beautifully illuminated manuscripts across time and place. This tour is led by Christine Sciacca, Associate Curator of European Art, 300–1400 CE. In the spirit of the season, come enjoy a tour examining religious art that celebrates the story of Christmas. This tour will feature Renaissance and Baroque paintings depicting the birth of Christ. Every day has a different theme during the 12 days of science. Drop in workshops, live demonstrations, and hands-on building will be happening throughout the Science Center while at home activities are available online. This two-hour cruise on the Patapsco River includes a delicious lunch buffet with freshly prepared entrees, salads and desserts, spectacular views of the city skyline, and local landmarks, and a guaranteed table for your party size. Onboard entertainment and DJ music ensures fun from start to finish. 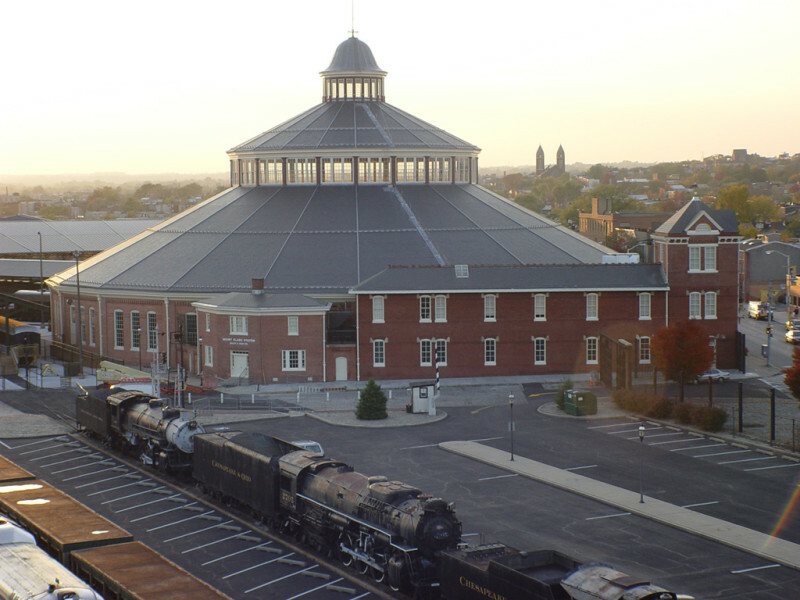 To celebrate the holiday season, the B&O Railroad Museum offers expanded Mile One Express train rides. Bring your family and friends and take a round-trip along the first commercial mile of track laid in America, recognized as the birthplace of American railroading. With paid admission, train rides are an additional $3 for adults, $2 for children and free for B&O members. To celebrate the holiday season the B&O Railroad Museum offers expanded Mile One Express train rides on Wednesday, December 26 - Monday, December 31. Bring your family and friends and take a round-trip along the first commercial mile of track laid in America, recognized as the birthplace of American railroading. These cruises on the Patapsco River includes a delicious buffet with freshly prepared entrees, salads and desserts, spectacular views of the city skyline, and local landmarks, and a guaranteed table for your party size. Onboard entertainment and DJ music ensures fun from start to finish. The plaza will be transformed into a magical winter wonderland with ice sculptures lining the walkways, live music, food vendors, family activities, and more! Watch the excitement as award-winning ice sculptors use chainsaws and chisels to create spectacular ice sculptures. Charles Dugger presents the principles of Kwanzaa. Bring out the family to celebrate the holiday’s 50th anniversary and the Kwanzaa principle Nia (“Purpose”). 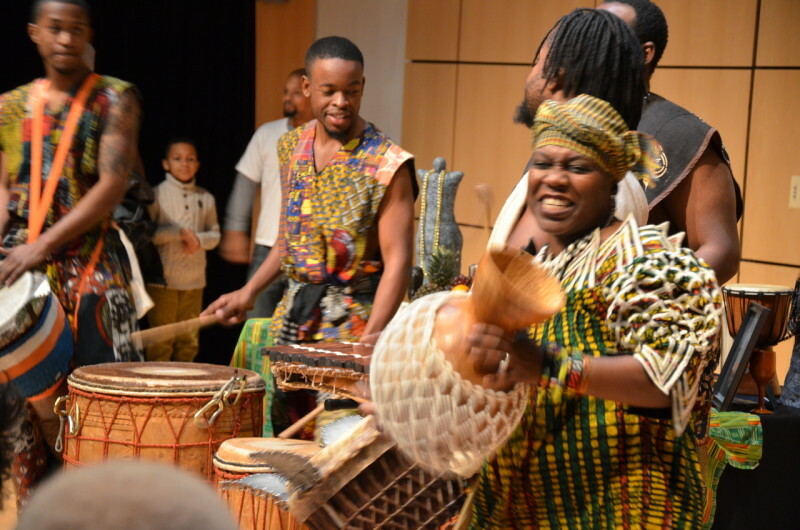 Enjoy storytelling, African dancing and drumming by Sankofa Dance Theater. Sallah Jenkins leads holiday craft-making. Travel with teaching artist Culture Queen through Culture Kingdom Kids’ Kwanzaaland to explore the seven Kwanzaa principles at workshop stations. scape the hustle and bustle of the holiday season and experience a colonial American Christmas with the Carroll family at Mount Clare Museum House. See Mount Clare decorated for the winter holiday in the spirit of 18th and 19th century style with greens and dried plant materials accented with fruits, nuts, feathers, and pine cones. A visual delight—all included with paid admission! As The Beach Boys mark more than a half century of making music, the group continues to ride the crest of a wave unequalled in America’s musical history. The Beach Boys have become synonymous with the California lifestyle and have become an American icon to fans around the world. Baltimore, don’t miss The Beach Boys playing all your favorite hits along with a very special Christmas show. Midweek Concert: A Swingin' Nutcracker! Show-stopping hip-hop dancers join the BSO for this fun-filled holiday concert. Riffing off of Duke Ellington's reimagining of Tchaikovsky's masterpiece, jazz composer Paul Murtha has created a new Swingin' Nutcracker! Join BSO immediately following the family concert for a buffet lunch in the Meyerhoff lobby. Luncheon tickets purchased separately. From the sheer joy and magnitude of the “Hallelujah” chorus to the delicate beauty of the arias, it’s no wonder this beloved work has crowned holiday celebrations for centuries. The BSO’s annual complete performance of the Messiah, led from the harpsichord by the dynamic Edward Polochick, is a musical tradition you’ll want to make your own. Experience the holidays of years past at Mount Clare Museum House's annual winter celebration. Special programs include live musical performances by the Monumental City Ancient Fife and Drum Corps. Purchase your fresh cut greens in the forecourt for holiday decorating. Looking for the perfect gift? The museum store is filled with holiday merchandise to satisfy your holiday shopping list. Fun for the whole family! Members are free; non-members, $5. The illustrious group of child musicians has been delighting music lovers across the globe for six centuries with their purity of tone, distinctive charm and popular repertoire. Christmas in Vienna showcases these gifted musicians with voices of unforgettable beauty in an extraordinary program featuring Austrian folk songs, classical masterpieces, popular songs and, of course, holiday favorites. The biggest Christmas experience of the year! The original, direct from Russia, Moscow Ballet’s Great Russian Nutcracker! Enchant the whole family with larger than life magical props, a 60-foot growing Christmas tree and spectacular Russian-made costumes and sets. A must-see event; witness the world’s best dancers on stage in your city! A Murray Little Christmas is a cocktail-style variety show packed with silver bells and holiday hi-balls. It’s the liveliest Christmas cocktail party of the season and everyone is guaranteed to have a gay old time! More than 100 festively dressed tuba players will capture the spirit of the holiday as they blend their unique styles, rhythms and progressions for all to enjoy. Renowned gospel singer and twelve-time Grammy®Award-winner CeCe Winans joins the BSO and the Morgan State University Choir in a rousing Gospel Christmas program of holiday favorites. Those in the know, know the best way burn off all of those latke calories is by dancing up a storm at our annual Charm City Klezmer Holiday Dance Party. Learn Yiddish social dances and be propelled across the floor by a Baltimore band that hits harder than a hammer, Charm City Klezmer! Led by husband and wife team Judith Geller and Michael Raitzyk, along with their young kids and a powerful stable of Baltimore musicians, Charm City Klezmer warmly hosts this lovely, authentic Creative Alliance tradition of not-so-traditional klezmer music with roots in Jewish East European culture. The band is kicking and the dance floor is open. Broadway musical director Andy Einhorn leads the BSO and the Baltimore Choral Arts Society in an exciting new holiday pops program, highlighted by festive favorites from Broadway to American classics, the ever-popular tap-dancing Santas, an audience sing-along and a few musical surprises. The Meyerhoff Symphony Hall becomes a winter wonderland with pre-concert performances, holiday cookies and ornaments for sale. Kick off the holiday season at Lexington Market's Annual Holiday Fashion Extravaganza, produced by Baltimore's world-renowned, fashion-guru and entrepreneur, Travis Winkey. Watch in amazement as chic models grace the runway, showcasing holiday, winter, and evening trends from national and local fashion designers. You can enjoy a tasty lunch while being entertained to a day of holiday fashions and musical entertainment. You’ll be sure to find those perfect holiday needs too! The market arcade fills up quickly, so arrive early to get your front row seat! Be sure to stay the afternoon and enjoy lunch from the wonderful array of vendors. West Shore Park will be transformed into a traditional German Christmas Market, complete with more than 50 vendors selling traditional European crafts, arts, jewelry, holiday gifts, food, sweets and drinks. Special holiday-themed programming will take place each weekend. Cheers to sweet sales and less stress! Join Harbor East for a sophisticated and civilized alternative to mall mayhem at the 2nd Annual Black Friday Block Party. Skip the holiday frenzy and enjoy leisurely shopping events, a mimosa and bloody mary bar, live music, a complimentary DIY hot chocolate bar and family-friendly activities for the little ones (including face painting, cookie decorating, a balloon artist and appearances from holiday characters). 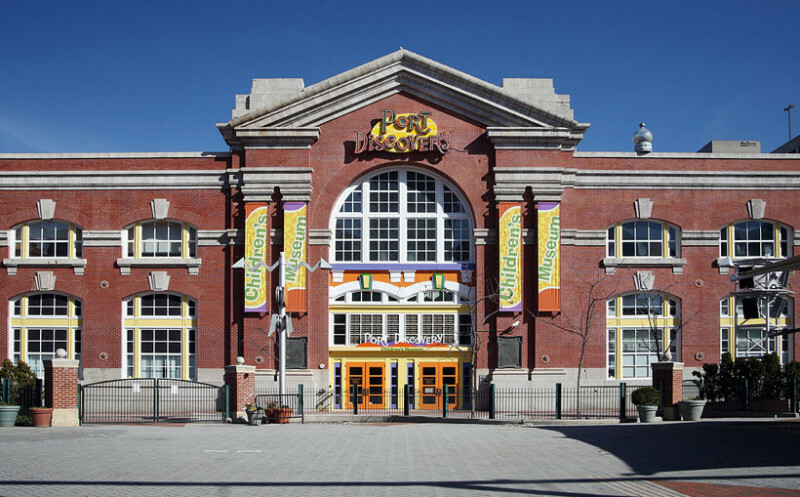 The American Visionary Art Museum's annual holiday art market returns! Hundreds of original creations by more than 40 regional artists and craftspeople, including paintings, sculpture, paper crafts, metalwork, jewelry, textiles, mixed media, apparel and other work that simply defies categorization! Shop local on #SmallBusinessSaturday and support these original makers! Entry is free. Shop a diverse mix of handmade items by artisans from Baltimore and beyond this Holiday Season! Merry Mart is an annual juried holiday craft market that showcases high-quality handmade arts and crafts including clothing, handbags, accessories, ceramics, soaps, kids’ toys, mixed media, jewelry and great art! Bring your kids to the free drop-in arts workshop from noon to 5 p.m.
A delicious cookie (and cocktails!) quest through Harbor East. Still looking for that perfect gift? Enjoy the sounds of the season, sweet treats and warm drinks while shopping the best of Baltimore. Participating neighborhood shops will each feature a unique bite-sized holiday confection. $10 reserves your spot on the “tour” and includes one cookie at each shop, a signature Cookies & Cocktails ornament, and free parking for the evening. Plus enjoy complimentary photos with Santa Claus, music and festive cocktail bars! One block in Hampden bursts with light each holiday season as residents illuminate their row homes and mount quirky ornaments, from a giant snow globe to a Christmas tree made of hubcaps. It’s a holiday tradition like no other. Join Sagamore Spirit Distillery for their First Annual Holiday Tree Lighting! Enjoy festive live music and complimentary hot cider all evening. Brian Treacy, President of Sagamore Spirit and Patrick Petrides, GM of Rye Street Tavern, will illuminate the tree at 7 p.m. sharp! Additional food and beverage available for purchase. Lawn chairs and blankets encouraged. The first 30 guests through Sagamore Spirit’s Visitor Center will receive a special holiday treat! Mayor Pugh invites all Baltimore City residents to join her for the annual lighting of the City's Christmas tree at War Memorial Plaza. Illuminating the historic Washington Monument is a Baltimore tradition that includes caroling, food and good cheer. Fireworks cap the festive evening that marks the official start of the holiday season. Baltimore's nautical spirit is all aglow for the annual Parade of Lighted Boats. More than 50 boats and pleasure crafts, bedecked and sparkling in their holiday finery, make their way from Baltimore's world famous Inner Harbor to Fell's Point. Enjoy complimentary refreshments and goodies as Columbus Piazza is lit up for Christmas. Young and old will delight in sharing a magical evening filled with holiday music, festive light displays and beautiful neighborhood decorations, all aboard an old fashioned trolley! 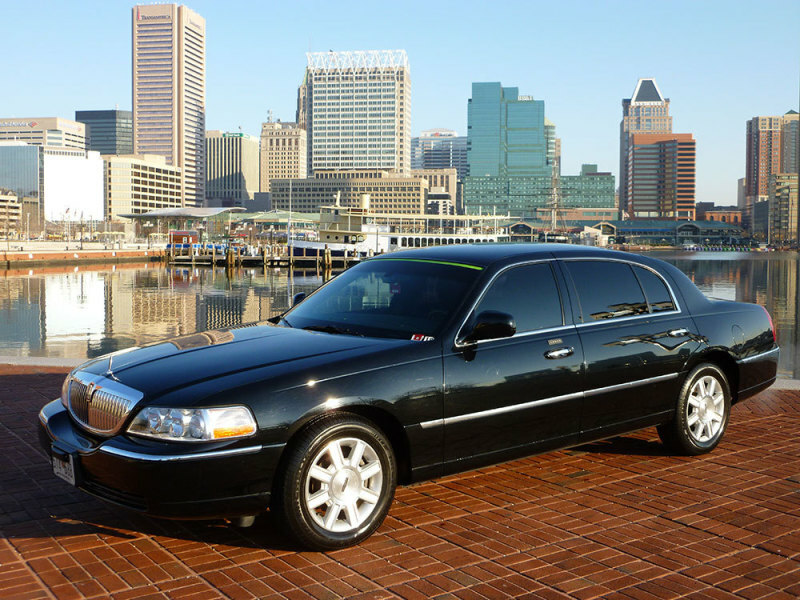 The two-hour tour, conducted by an expert guide, will begin at Royal Sonesta Harbor Court in downtown Baltimore and will then proceed to take guests through the adorned neighborhoods of Harbor East, Fells Point and Canton where they will learn a little local history and observe the charming sights and sounds of Christmas. Next, the Trolley will head north to Hampden to see and enjoy the block-long spectacular 34th Street Annual Christmas Festival of Lights, complete with colorful lights, outdoor train gardens, original artwork from local artists, and sparkling displays. On the way back to the Inner Harbor, guests will ride pass the George Washington Monument in Baltimore's Mount Vernon neighborhood where it has been beautifully decorated for the season. Join the Zoo for ho-ho-holiday cheer and celebrate the season with family and friends. Enjoy a buffet breakfast inside the Zoo’s historic Mansion House, create unique seasonal crafts, and meet some of Santa’s wildest friends with up close animal encounters. When you hear the jingle bells begin to jingle, Kris Kringle is on his way! Visit Santa and tell him your wishes for the holiday season. All breakfast tickets also include same-day admission to the Zoo. Reservations are required and tickets are expected to sell out quickly. Join the B&O Railroad Museum for its annual breakfast buffet with Santa! Enjoy a delicious pancake breakfast, have your photo taken while visiting Santa, and enjoy the magical display of holiday model train layouts and an indoor carousel ride. Then "All Aboard" for an exclusive train ride with Santa! Space is limited; advance prepaid reservations required. Children and families, enjoy a favorite holiday story with a snack of cookies, milk and hot chocolate. Then "All Aboard" the Mile One Express for an exclusive train ride with Santa! Space is limited; advance prepaid reservations required. Come create memories and holiday crafts with your family! Then, help decorate the museum's Christmas tree with your creations. A very special guest, Santa Claus, joins us so that you can take a photo with him. Recommended for ages 6-10. Special Admission: $1 Dollar Day Weekend. A special visitor from the North Pole will be on board for pictures. December 31, 9 p.m.-12:30 a.m.
Ring in 2018 with family, friends, live music and a spectacular fireworks display over Baltimore’s Inner Harbor! 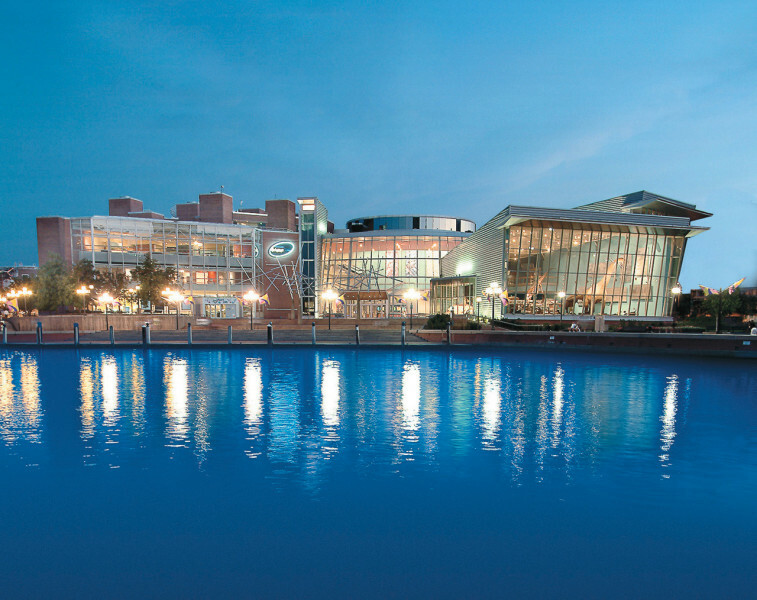 Starting at 9 p.m., the crowd at the Inner Harbor Amphitheater can enjoy a party music. At the stroke of midnight, colorful fireworks and lights fill the sky above downtown Baltimore. Those celebrating at the Inner Harbor can also enjoy skating at the PANDORA® Ice Rink, open until 12:30 a.m. Regular rink admission prices apply. The Baltimore’s New Year’s Eve Spectacular is produced by the Baltimore Office of Promotion & The Arts. WJZ-TV 13 is the media sponsor. December 31 - Janurary 1, 10 p.m.
December 31, 9 p.m.-2 a.m.
Join Power Plant Live! for the Mid-Atlantic's biggest New Year's Eve event - NYE Live Baltimore 2018! Ring in 2018 in style with live music, great DJ performances, laser shows, dancing and of course, a huge midnight celebration featuring the Times Square Ball Drop on two 20-foot LED screens! The event includes exclusive access to more than nine bars and nightclubs, gourmet buffets, an all-inclusive drink package from 9 p.m.-1 a.m., New Year’s-themed party favors, champagne toasts, a huge midnight celebration with lasers and confetti and more. December 31, 9:30 p.m.-12:30 a.m.
End the year with a bang when the sky lights up at midnight. Cruise includes hors d'oeuvres, a New Year's Eve dinner buffet menu, a premium open bar, a champagne toast at midnight, live DJ entertainment and incredible views of the fireworks. Guests board at 9 p.m. The dockside party goes until 1 a.m. Tickets start at $179.90 per person. All guests must be 21 or older with a valid ID. December 31, 10 p.m.-1 a.m.
Cruise on Raven, the newest yacht in the Inner Harbor, around Baltimore for New Year's Eve! Ring in the New Year with dancing along the water on a cruise that takes in the sparkling city skyline of Baltimore. Light snacks will be served and the boat will be decorated for the occasion. Purchase your drink of choice from the fully stocked bar (drinks are an additional cost). Watch the fireworks from Raven's open top deck! December 31, 7 p.m.-3 a.m.
Ring in the New Year at The Bygone, Baltimore's most-elevated and exciting restaurant atop the Four Seasons Hotel. Located on the 29th floor, The Bygone will provide panoramic views of Baltimore's incredible fireworks display. Guests will enjoy a standing buffet featuring a raw bar, meat-carving station, lobster, caviar and limited open bar all night. December 31, 10 a.m.-5 p.m. Early bedtime or not, partygoers will enjoy a festive day of play inside a Winter Snow Ball Wonderland! Dance the day away during the Snow Ball while rockin' tunes fill the Museum. Watch special performances from Eric Energy, who will teach revelers about Cool Science, and the Kindersinger, who will keep little ones jingling all day long. Make jingle bell bracelets, sound sandwiches and diffusion snowflakes to help out with our famous Noontime Countdown featuring confetti and a balloon drop. After the countdown, enjoy a juice and cookie toast and continue exploring the Museum for more festive family fun. 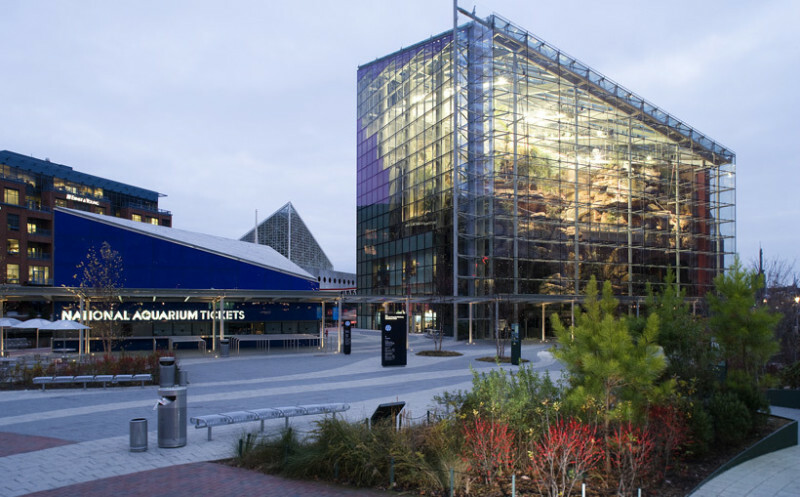 Dec. 31, 10 a.m. - 2 p.m.
Ring in the New Year at the Maryland Science Center! Join them for their annual New Year’s Eve celebration, Midnight Noon, where children can enjoy the ball drop before bed time. There will be fun New Year’s festivities throughout the day, including a live concert by popular kids band Milkshake. Their Grammy-nominated tunes will keep you dancing throughout the day. The entire Science Center will be open and ready for you to explore. 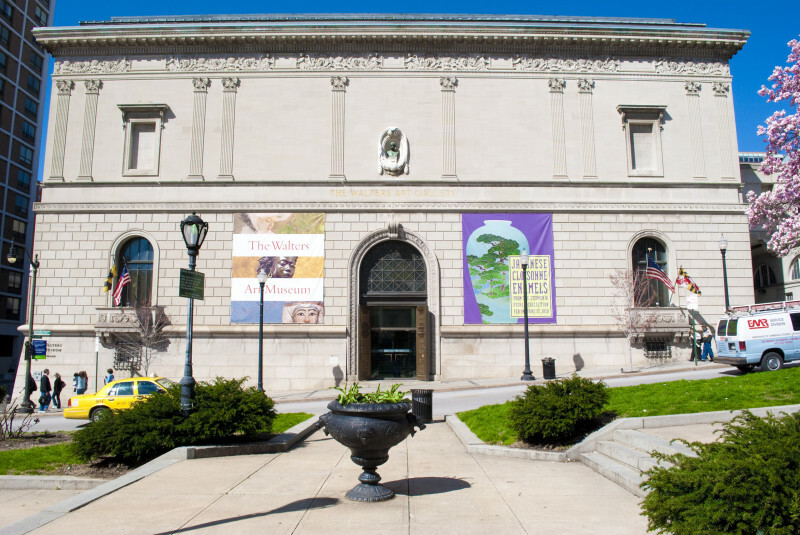 All activities are FREE with paid admission, and completely free to members. Celebrate the start of Chanukah with the lighting of Maryland’s largest menorah, complete with live music, kid’s activities and fireworks. Happy Newyearsikkah! Council President Young invites all Baltimore City residents to join him for the annual City Hall Menorah lighting.